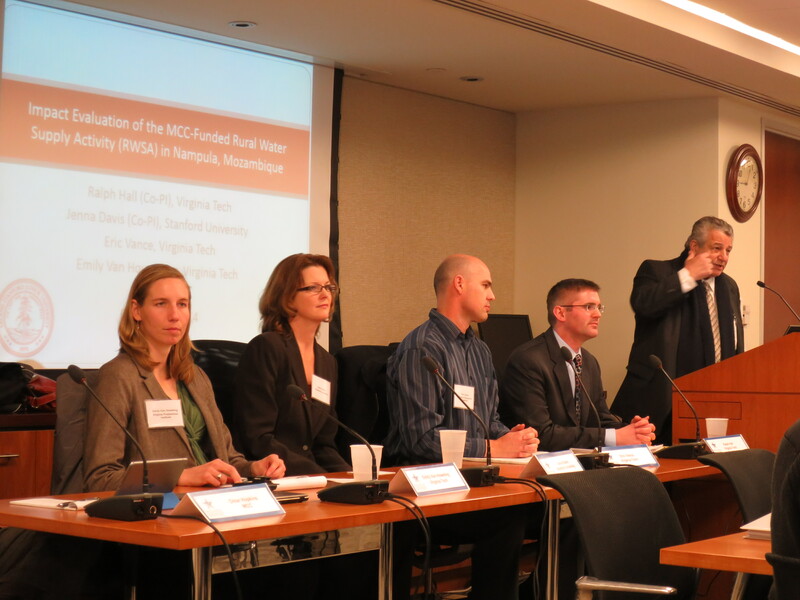 On February 7, I was joined by colleagues from Virginia Tech and Stanford University to present the results from our impact evaluation of the Millennium Challenge Corporation-funded Rural Water Supply Activity (RWSA) in Mozambique at the MCC’s 2014 Monitoring and Evaluation (M&E) and Economic Analysis (EA) College. The M&E/AE College was attended by monitoring and evaluation and economic analysis experts from many of the countries with which the MCC has an active Compact. The presentation was recorded using Adobe Connect and can be accessed by clicking on the image below. The final impact evaluation report will be available in the coming weeks via the MCC’s Independent Evaluations Catalog.